Home › Shopping › Use NordVPN To Watch Netflix Anywhere! Use NordVPN To Watch Netflix Anywhere! Netflix has over 100 million subscribers globally but the shows available on Netflix in the United States are not necessarily the same one available to European users. So, how do you watch your favorite shows on Netflix when abroad? If you don’t have NordVPN, the chances are you may be restricted. 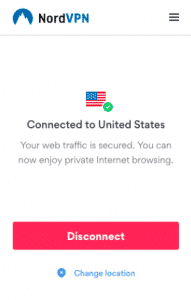 NordVPN operates a virtual private network (VPN) that allows you to connect to the internet via servers that securely transfer encrypted data. By logging on to the internet using a VPN, you can “fool” an internet service provider (ISP) into believing you are somewhere else in the world. When you use a VPN, you can more easily keep your internet activity private. You also increase the chances of defending your computer and sensitive information from hackers who may exploit a public WiFi hotspot. But not all VPNs are built the same. In fact, few are sophisticated enough to consistently get past VPN filters that Netflix has in place but NordVPN has managed that lofty feat. So what else do you need to know about NordVPN before signing up? 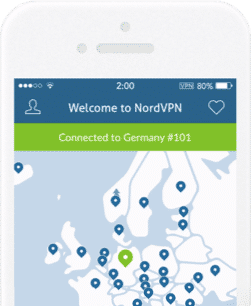 Is NordVPN Right For You? NordVPN is based in Panama and operates 2,900 servers in 59 countries worldwide. It allows you to securely access websites from anywhere in the world, share files safely via P2P networks, and enjoy a fast VPN experience so you can even watch streaming movies on Netflix. NordVPN boasts military-grade encryption and the ability to shield yourself from intrusive advertisements and malicious online threats. Plus, the Double VPN feature encrypts your traffic twice to create an added layer of privacy online. So, your traffic would be routed through two VPN servers instead of one. Beyond accessing your favorite shows on Netflix, privacy is one of the primary reasons to select NordVPN. Because your traffic is sent through a NordVPN server, your real IP address is changed so your anonymity online is preserved. The jurisdiction under which a VPN operates, the support or tracking tools it uses, the payment options it offers, and additional security options like a Kill Switch and Double VPN are all factors to consider when choosing a VPN provider. NordVPN earns high marks in all these categories. If privacy is important to you when choosing a VPN service, you should pay close attention to whether the VPN keeps logs of your private data and information. NordVPN has a strict no logs policy so that alleviates a tracking concern for many users. As a Panama-based company, NordVPN is not subject to US and EU jurisdiction requirements to collect personal data and information. And while you can pay NordVPN via credit card or Paypal, you can also select among other payment options, including Bitcoin. If your connection drops for some reason, NordVPN also provides a Kill Switch to protect your data from being temporarily exposed. For power users who need added layers of security, NordVPN provides top tier privacy solutions, such as Onion Over VPN and Double VPN. When you connect via Onion Over VPN, you are leveraging the TOR network. NordVPN also implements DNS leak protection technology to protect your online activity in case DNS servers send unencrypted queries outside a secure VPN tunnel. Plus, you can secure your online activity with one click using the NordVPN proxy extensions for Chrome and Firefox. Even if you access a website that is not HTTPS secure, your traffic will be encrypted and your real IP replaced with one of the thousands of NordVPN servers distributed across the globe. It’s no mean feat getting around VPN filters Netflix has in place to stop users outside the United States viewing content only available to its customers in that region, but somehow NordVPN has overcome that challenge. If you run into an issue accessing Netflix or Hulu, NordVPN has support pages dedicated to explaining how to get up and running. To get started, connect to a U.S. based server and you should be able to watch Netflix. In fact, if an award were given for “best VPN for streaming”, NordVPN would probably deserve the title. If you previously used a VPN that experienced limited bandwidth due to throttling issues, you will find the fast NordVPN speed to be refreshing. Because it has servers distributed around the globe, the chances diminish of running into bandwidth issues because you will be more likely to use a server that is closer to you. The NordVPN servers are also optimized for P2P sharing and video streaming without compromising encryption protocols for true online privacy and security. That means you are moved to a dedicated P2P server automatically when NordVPN sees you are file sharing on a non-P2P server. Another plus in favor of NordVPN is that you can connect up to six devices simultaneously from a single user account. NordVPN Windows, NordVPN MAC, NordVPN iOS and NordVPN Android are all supported. You can pay by credit card or Paypal, or even Bitcoin if you wish to preserve your anonymity to an even greater extent. You may be disappointed if you are looking for a NordVPN free trial but you do get a 30-day money back guarantee, which gives you a chance to explore the virtual private network at no risk. ✅ Low Price Point: A 2 year plan works out to be $3.29 monthly. ❌ Lack Of Transparency: No public data is available on who runs NordVPN. Even a LinkedIn search reveals very few employees. ✅ Secure Streaming: Streaming is secure while buffering is reduced. ✅ P2P Optimized: Servers are optimized to share files over P2P networks. ✅ No Logs Policy: VPN stores no logs of your private data and information. ✅ IP Address Protection: Your real IP address is shielded so your anonymity online is preserved. ✅ Automatic Kill Switch: Additional security options like a Kill Switch and Double VPN are provided for added security. ✅ Onion Over VPN: NordVPN provides top tier privacy solutions, such as onion over VPN. ✅ Cancel Anytime: We found customer support to be friendly and account activation and cancellation to be hassle-free. ✅ Payment Methods: Beyond credit card and Paypal payment methods, NordVPN also supports Bitcoin. ✅ Six Devices Connection: Up to six devices can be connected simultaneously from a single account. ✅ Multiple Operating Systems: iOS, Android, Windows, and Mac operating systems are all supported. One of the best VPNs on the market is NordVPN, which comes at a very reasonable monthly cost, especially if you sign up to a two year plan. NordVPN server locations are distributed globally and make it possible to stream videos without running into throttling issues from poor bandwidth. You can even watch Netflix from anywhere in the world without running into Netflix VPN filters. The virtual private network prioritizes users’ anonymity and privacy by having a strict no logs policy to track user data and information. It also has added privacy layers like Double VPN, Onion Over VPN, and a Kill Switch to protect users in case the connection is dropped. For users especially concerned about privacy, NordVPN even accepts Bitcoin as a payment method. 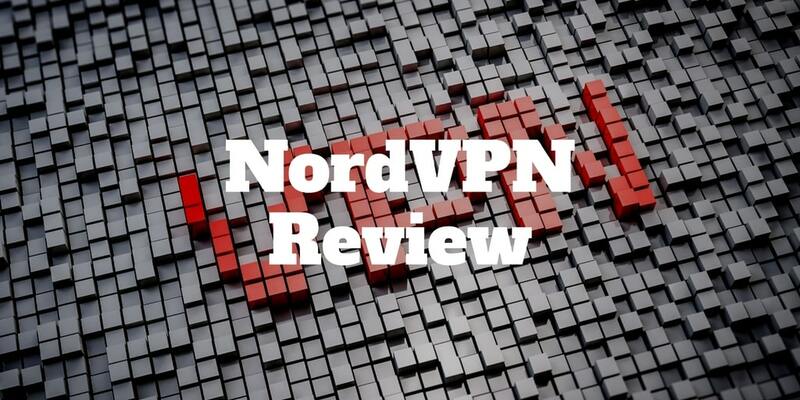 The bottom line if you are looking for a top notch VPN with the added benefit of being able to stream Netflix from anywhere in the world, NordVPN deserves your attention. ‹ How Do You Invest In Uber Stock?